gdm architects designed the redevelopment of this site for the new Oakhall Church which opened its doors to a 400-strong congregation in November 2018. The accommodation includes a large auditorium suitable for services, concerts and sporting activities together with 2 residential flats, training rooms, kitchen, communal meeting areas and creche. This has been an exciting bespoke project with a high level of customer satisfaction feedback. To read more on this project click here. 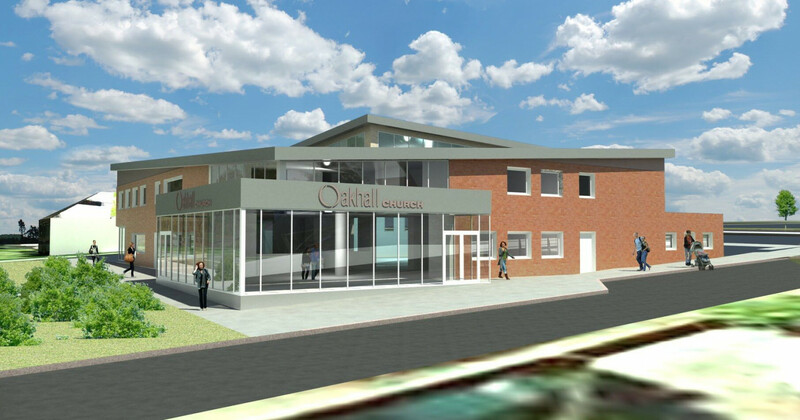 Click here to watch the grand opening of Oakhall Church.